A California Chamber of Commerce-sponsored job creator bill that protects sexual harassment victims and employers from being sued for defamation has been sent to the Governor. The bill passed the Legislature with unanimous bipartisan support. AB 2770 (Irwin; D-Thousand Oaks) codifies case law to ensure victims of sexual harassment and employers are not sued for defamation by the alleged harasser when a complaint of sexual harassment is made and the employer conducts its internal investigation. This bill also provides additional protections to employers by expressly allowing employers to inform potential employers about the sexual harassment investigation and findings. Reducing the cost of frivolous litigation allows an employer to utilize these financial resources to grow its workforce. Sexual harassment victims are being sued by their alleged harassers when the victim files a sexual harassment complaint with his or her employer. For example, in one instance, the alleged harasser brought libel and slander causes of action against the victim because of the statements she made in her complaint to the company’s human resources department and the Equal Employment Opportunity Commission. See Cruey v. Gannett Co., Inc., 64 Cal.App.4th 356 (1998). Also, in a more recent example, the alleged harasser sued the victim for defamation for the statements she made not only to her employer, but also to the police and a health care professional in relation to the sexual assault investigation. Comstock v. Aber, 212 Cal.App.4th 931 (2012). These are just a couple of examples where this type of lawsuit occurs. AB 2770 intends to prohibit these types of cases because there is no better way to silence a victim of sexual harassment than to threaten him or her with a lawsuit for simply making a complaint to human resources. Not only are the victims being sued, but also the employers are being sued for defamation by the alleged harassers. This puts employers in an impossible position. Employers have an affirmative duty to take reasonable steps to prevent and promptly correct harassment. The Department of Fair Employment and Housing (DFEH) implements these regulations. Per these regulations, once a complaint of harassment is made, employers must provide a timely response and conduct an impartial and timely investigation by qualified personnel. This means interviewing the victim, the alleged harasser and any potential witnesses. Employers must properly document and track the investigation for reasonable progress and provide appropriate options for remedial actions, resolutions and timely closure of the investigation. Thus, there is no way an employer can conduct an investigation without discussing the harassment allegations to someone else in the company. Astoundingly, harassers have the audacity to sue their employers for defamation regarding statements made during this legally required investigation process. In one case, the plaintiff filed a complaint for damages against his former employer, alleging he had been defamed during Nationwide’s investigation of the harassment complaints. Olaes v. Nationwide, 135 Cal.App.4th 1501 (2006). Although the court ultimately ruled in favor of the company, it is apparent that current law is not providing enough protection because these types of cases are still being filed. If the alleged harasser’s employment is then terminated, or the alleged harasser resigns, employers are put in an even more difficult position. The company has knowledge of the harassing activity and yet its hands are tied. If the company tells a potential employer that the employee was accused of harassing conduct, the company is on the hook for a defamation claim. If the employer remains silent, the harasser is then free to victimize more individuals at his/her next job without anyone at the new company ever knowing about the unacceptable behavior. AB 2770 does not provide an absolute privilege to these types of communications, but rather a conditional privilege. The privilege will not apply if the statements made by the former employer or victim are made with malice. Thus, AB 2770 simply codifies case law and protects the public interest of providing employees more protection from harassment by clarifying the victims’ and employers’ rights to curb harassment without the threat of defamation lawsuits. AB 2770 is awaiting action on the Governor’s desk. 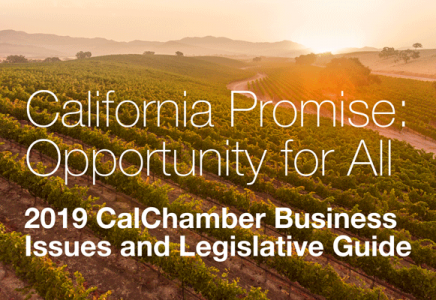 CalChamber is asking members to contact the Governor and urge him to sign AB 2770.